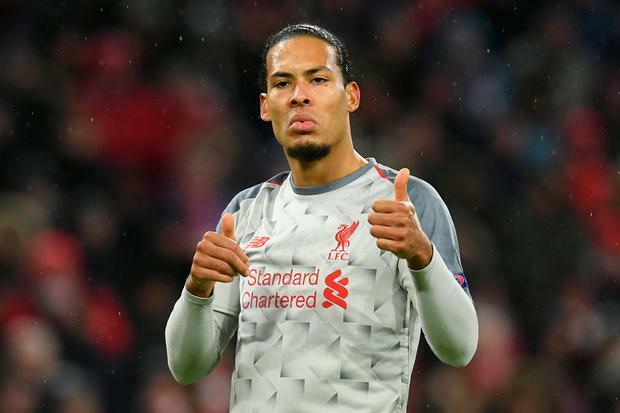 Liverpool defender Virgil van Dijk is on course to be crowned as the PFA Player of the Year for this season, yet former Manchester City star Joleon Lescott has suggested he would not enhance his former club despite his impressive form. Speaking to talkSPORT, Lescott claimed no Liverpool players would get into the current City line-up, as he suggested Aymeric Laporte has produced performances on par with Van Dijk this season. "Both Pep Guardiola and Jurgen Klopp will each be happy with their own team and their players suit their styles of football," stated Lescott told talkSport on Thursday. "I'm not sure I'd take a single one of Liverpool's players for Man City's team, but it's fair to say both have put together great squads. "From a Man City perspective, I have been very impressed with Aymeric Laporte this season, who has arguably made a similar impact to what Virgil van Dijk has at Liverpool." Lescott went on to suggest City would win this season's Premier League title, as they will head into the final eight games of their title defence just two points behind Liverpool and with a game in hand. "I expect Manchester City to go on to win the Premier League," he added. "It is interesting that they've been able to overtake Liverpool so quickly. "I don't think it's a surprise that Man City have won the games they have, but rather that Liverpool have dropped points in recent weeks. "Earlier on in the season, the title could have been Liverpool's to lose but they threw the opportunity away with a bad run of games where they didn't achieve what they should have done. It's now in Manchester City's hands and I don't expect them to let it slip. "Retaining the Premier League title will be Man City's biggest achievement and to become the first side to do it since Sir Alex Ferguson retired from Manchester United is another camel off their backs in the city."